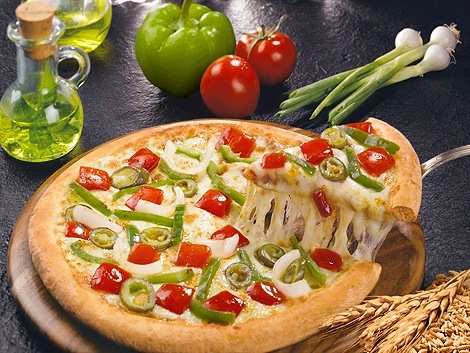 Domino's Pizza is the most common household name among in the metro cities of India. In pizza home delivery, Domino's enjoy lions share in pizza home delivery segment in India. Domino's probably was the first company to have come up with the idea of 'delivery within 30 minutes else free'. An arm of Jubiliant Food Works Ltd. (a listed company in national and Bombay Stock Exchange i.e. NSE & BSE), Domino's have survived and thrived in a highly competitive market relying on their home delivery network. Two wheelers with Domino's logo as pizza delivery vehicle is a common sight in all the metro cities and elsewhere in India. In Chennai, Domino's have many outlets. All these are famous for their quality of food and service. Aditya Arcade, Kasthuribai nagar, Adyar, Chennai.